A NEW CORONAVIRUS called the Middle East Respiratory Syndrome or MERS has evoked fear and loathing. The fear is on account of its deadly nature. Globally, 701 laboratory-confirmed cases of infection with MERS-cov, with at least 249 related deaths, have officially been reported to the World Health Organization (WHO) so far. That’s a high rate of fatalities from a disease closely allied to the Severe Acute Respiratory Syndrome which infected more than 8,000 people in 2002-03 and killed several hundred. And the loathing? That has been evoked by a Dutch institute, the Erasmus Medical Centre in Rotterdam, which had taken out a patent application on the pathogen and its derivatives. It must be admitted here that the loathing is limited to analysts WHO are familiar with the complex interplay between public health and intellectual property rights (IPRS), primarily patents and the costs these impose. Western media reports, predictably, have focused almost entirely on the Saudi kingdom’s inept handling of the MERS outbreak and failed, by and large, to question the legitimacy or the morality of Erasmus’ patent claims. The Rotterdam institute had filed its application in September 2012 soon after it received the virus sample from an Egyptian doctor working in a Jeddah hospital WHO had extracted the sample from a patient but was unable to identify it. Erasmus isolated the gene sequence and identified it as a new strain of coronavirus on which it has applied for several US and international patents. Unfortunately, details of the patent application were not known till recently. Thanks to the digging done by Edward Hammond, director of Prickly Research, a US consultancy on policies related to biodiversity, agriculture, infectious diseases and intellectual property (IP), we know have some idea of the sweeping patent claims made by Erasmus. According to Hammond, the application claims “the virus as a whole, and its genetic material, particularly the unique variations that differentiate MERS from related viruses and appear to enable it to infect humans”. In addition, the claims cover any diagnostics and vaccines derived from it. 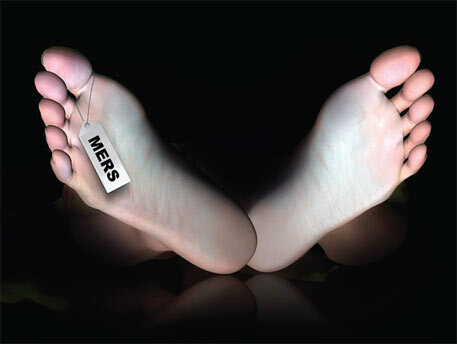 Those opposed to such patents worry that Erasmus’ move will impede research to control MERS which has already spread beyond the Arabian Peninsula. Erasmus, however, denies such charges and claims it has supplied the virus freely to over 40 institutions engaged in public health research. How free is open to question since some of these labs have complained of restrictive material transfer agreements that uphold Erasmus’ ownership of the virus samples and IPRS on research outcomes. WHO, too, has been critical, with director-general Margaret Chan sniping at scientists WHO “send specimens out to other laboratories in a bilateral manner and allow other people to take IPRS on a new disease” instead of sending it to WHO. At the General Health Assembly in May, she had declared that no IP should stand in the way of countries trying to protect public health. Good as that sounds, it’s difficult to see how Erasmus can be stopped. Saudi Arabia could do so by citing the Convention on Biological Diversity (CBD) which gives countries ownership of their genetic resources. In 2007, Indonesia had temporarily blocked the sharing of its avian flu virus by bringing up the CBD’s access and benefit sharing protocol. It had also managed to block Erasmus from patenting the virus. That was a one-off victory. Erasmus has since managed to get patents on several viruses. Scientists at the institute wonder what all the fuss is about. Patenting the MERS virus was not just the “normal thing to do”, they had an “ethical obligation” to do so, they say. How else could vaccines and antivirals be developed? How else, indeed?